The quality of drinking water can change with time and become contaminated with harmful bacteria. 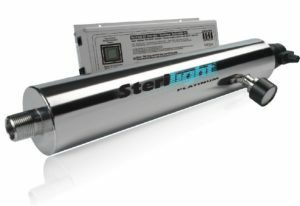 The Sterilight Cobalt™ family of UV disinfection systems is a reliable, economical and chemical-free way to safeguard drinking water in any residential application. 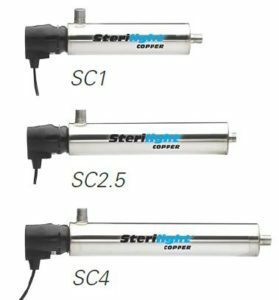 Sterilight Cobalt has been designed and tested to ensure quality drinking water is at everyone’s finger tips. Regardless of your need, there is a Cobalt system to suit your requirements. VIQUA offers systems that range in flow rates from 8 gpm for an average home, up to 50 gpm for a larger home or small business. • The Cobalt™ ICE power supply visually displays the remaining lamp life and will go into alarm if the lamp fails. Monitored systems also have the ability to read the percentage of UV output.